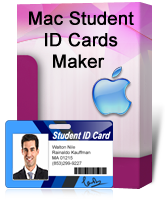 Mac Student ID Cards Maker Software creates and prints ID cards for group of students. Using various card designing objects you can design ID cards of your choice. Software provides option to import excel file of student details for creating multiple student ID cards. Card Designing Objects: Software helps MAC users to create ID cards of multiple students using various card designing objects such as line, text, watermark, ellipse, rectangle, barcode, signature etc. Live Group and Batch Processing Mode: Program provides Live Group and Batch Processing Mode to create ID cards for group of students. 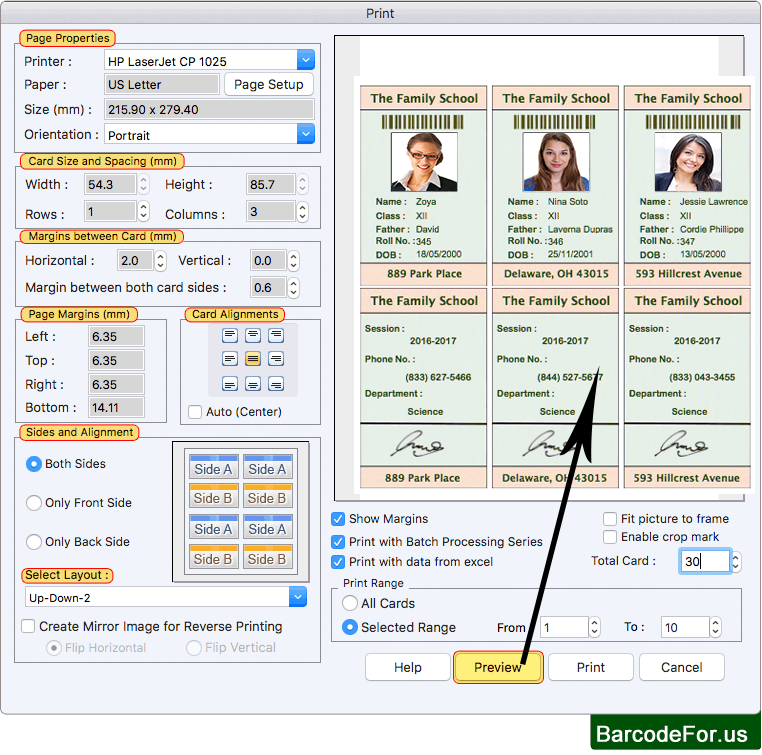 Pre-Defined Templates: Using various pre-loaded ID Card Design samples you can quickly generate student ID cards. Image Cropping Tool: Easily crop images for student ID cards using Image Cropping Tool available in software. 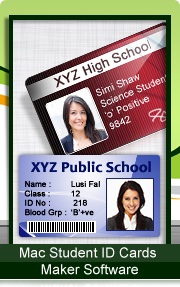 Export Designed ID Card: Software has option to export or save designed student ID cards. E-mail Setting: Using advanced e-mail setting option you can send designed student ID cards at specified email IDs. Camera Setting: You can capture image of students and add on ID cards using Camera Setting option. Print Designed ID Cards: With flexible print settings you can print designed multiple student ID cards.